In the last few months, I have seen a lot of talk on the internet that bookkeepers are going to become extinct in the next 5-10 years. Due to all the automation tools, you can use with Quickbooks Online and Xero and the bank feeds you no longer need bookkeepers because you can do it all yourself. Well, that is how they are advertising everything at least. But I feel like this information is totally wrong and inaccurate. I do think because of the automation tools you probably don’t need a full-time bookkeeper working in your office 40 hours a week…but I think it’s still a good idea to have a bookkeeper on some kind of retainer at least to review everything each month. See a Bookkeeper understands your Chart of Accounts maybe even better than you. They will know how to code things properly. There are many times that your bank feed guesses how to code things based on activity and guess what it’s not always correct. Do I want to bring up the monster that is Amazon? You can order so many different things from Amazon from office supplies, materials, inventory items to sell, food, etc. Another reason to keep up with receipts. In other words I think bookkeepers will always be here but we will just be here in a different way in the coming years. I’ve started to make some how-to videos. I haven’t come up with a name for my series yet but that’s okay. The first video I created was about Creating Bills and Paying Bills using Quickbooks Online. If you want to follow along feel free to check out the Quickbooks Online Test company that I used to create this video. You can do anything you want in it and not have to worry about making any mistakes. I hope you will check it out to learn more about using Quickbooks Online. Do you have any questions about the video? Are there any other QuickBooks videos you’d like for me to make? Let me know in the comments and I’ll be sure to create a video for you. 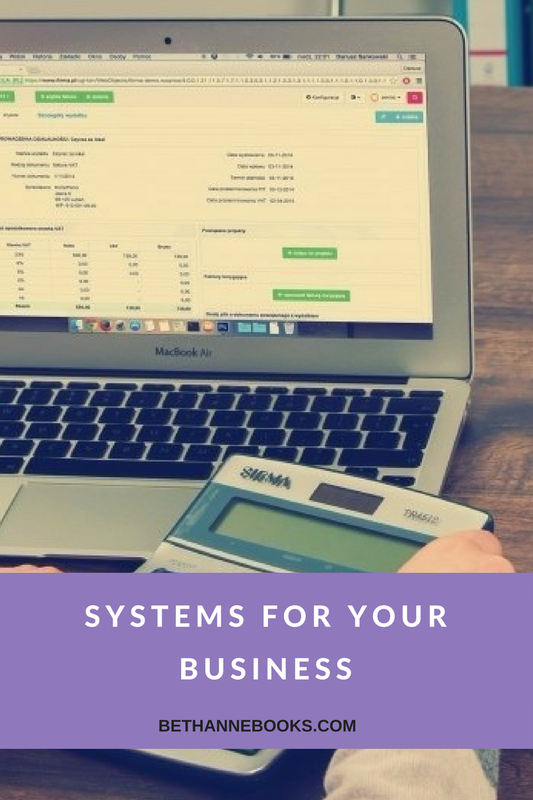 In order to stay organized in your business, you need to have a set of systems in place. 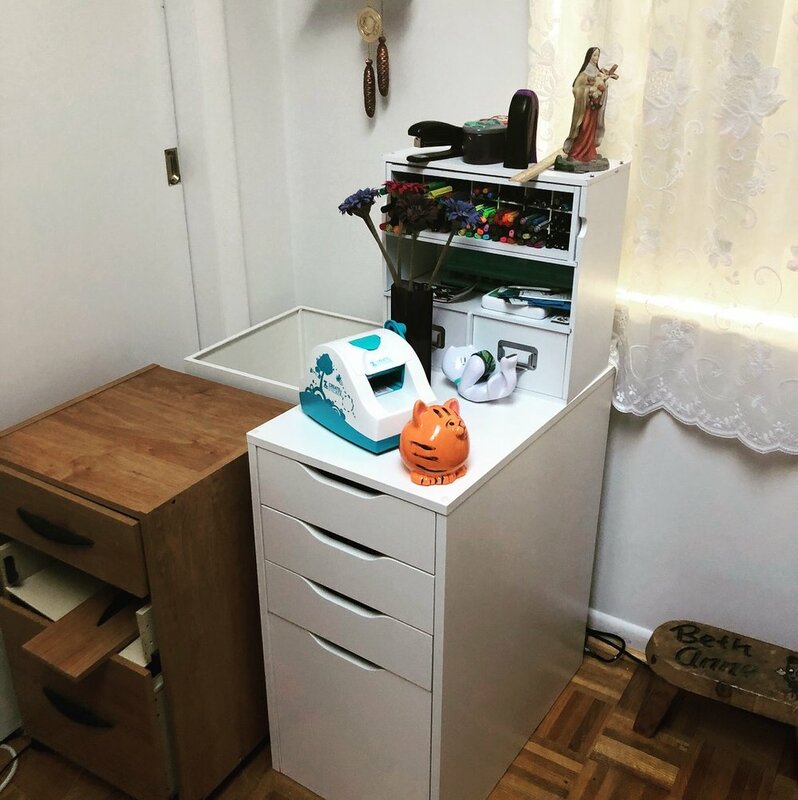 There are four categories I’m going to cover in this post – Credit Card Processing, Invoicing, Email, Onboarding, and Project Management/Task Management. First, you need to decide on a credit card processor. How will you get paid? The three most popular forms of payment are Paypal, Stripe, and Square. However, if you are using Quickbooks Online for your bookkeeping I recommend using Quickbooks Payments as that is the easiest way to keep everything all in one place. And once you pick one just stick to it. It can get very confusing if you are using more than one credit card processor. But it is a good idea to have a backup in case you are in a rural area at a craft fair and one isn’t working for whatever reason. But only use that one if necessary. The same goes with invoicing as credit card processing. Pick one invoicing software and stick with it. There are SO many programs that can do this. Freshbooks is very popular with online businesses. If you are using a time tracking software like Harvest or Paymo you can invoice through those programs. But in all honesty, the easiest thing to do is to invoice through whatever bookkeeping software you are using. If you are using Quickbooks, Xero, or Wave accounting you should just invoice through those programs. And if you don’t like the way the templates look ask your bookkeeper or a graphic designer to set it up the way you would like it to look. They all have customizable invoices. And most of the programs have apps so you can use it on an ipad or phone when you are out in the field. Get out of your email trying to schedule meetings back and forth. Calendy is a very good appointment calendar and the one that I use. If you click here you can see what mine looks like. But there are many others out there. Just find one and stick with it. (that is the main theme of this post ha). Email is my BIGGEST struggle. I’m not perfect at it but I am getting better. So do as I say not as I do. Only check your email at certain times of the day. I’m so bad about having my email opened all day long and looking at it. I’m sure most of us can relate to this. Create label filters for certain emails at a glance. I have all my “deal” emails go into a folder automatically and if I’m looking to go shopping I look at that folder. Polymail – I used this one a while ago but don’t remember why I stopped. MixMax – This one looks really cool. It has a lot of stats and looks like it may work as a CRM as well. Mailstrom – Also what I currently use. This makes it easy to go through large amounts of email and sorts by a sender, dates, subject, etc. The Email Game – This helps speed through 100 emails at once and makes it a game. At the end, it even gives you a score. If you use Gmail there are a lot of bonus features in the “Gmail labs.” One that I’ve been using is the one where you have a second inbox. So on the right, you can set u searches for certain clients or starred emails. This is the process from getting from your website to being a client. You need to come up with some sort of flow for this. Usually the typical flow is filling out a form, scheduling a meeting and then from the meeting sending a contract and setting up a start date. This doesn’t have to be complicated and can all be done in google drive. Okay, this is a big one that people are CONSTANTLY talking about. And really this doesn’t have to be hard. It can be as simple as using a bullet journal or planner. Or you can use asana, slack, trello, or another program. Whatever programs you decide to use in your business it doesn’t matter but you need to pick a few and stick with them. So many people are wasting too much time researching apps and programs and not getting any work in their business done. If you have any questions about any of the apps or programs I have mentioned here just let me know. What is your favorite one that you want to check out? Or is there a program you are using that I didn’t mention? Let me know!